Registration period: open from the 12 April until 1 July 2018. Prof,. 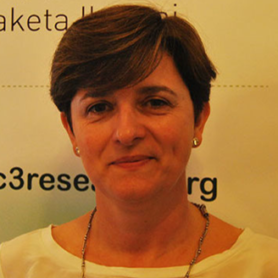 Maria José Sanz is the Scientific Director of BC3, Basque Centre for Climate Change since January 2016. 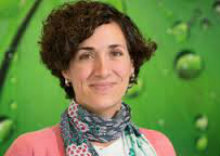 Prof. Sanz holds a Ph.D. in Biological Sciences from the Universidad de Valencia (1991) and has expertise in several scientific areas like Ecophysiology, Air pollution effects, lower and higher plants, Atmospheric dynamics and chemistry, Nitrogen and carbon cycles, Greenhouse Gasses and other related gases, Green house gas inventories, LULUCF and REDD+. She has been strongly involved in the policy dimension of Climate Change, guiding political decisions carried out at centres such as the FAO (United Nations Food and Agriculture Organisation) or the UNFCCC (United Nations Framework Convention on Climate Change). She has an expertise on multilateral processes, regulatory frameworks, policy measures and instruments of Climate Change Policy, and led the implementation of different programmes with a multidisciplinary-based approach. Among other appointments, Prof. Sanz was a member of the Spanish Delegation and Advisor to the Ministry of Environment for Climate Change Negotiations (2000 – 2007), and member of the CDM Executive Board, representing Europe in 2007. 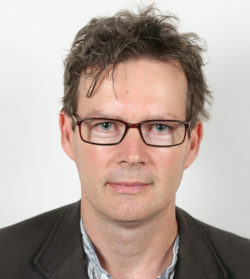 Dr. Philippart is Lead investigator and Deputy head of the Department of Coastal Systems at NIOZ, and is also Associate Professor at the University of Utrecht. She is Doctor in the Agricultural and Environmental Sciences, Agricultural University in Wageningen, the Netherlands. Her expertise is in the areas of coastal ecology, long-term changes Wadden Sea foodweb, pelagic and benthic microalgae and bivalves (larvae), comparative analyses in Wadden systems, and impacts of climate change and eutrophication. The main aim of her research is to understand the trophic interactions between the main primary producers (phytoplankton and microphytobenthos) and primary consumers (bivalves) of shallow temperate coastal waters such as the Wadden Sea. 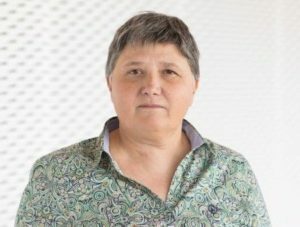 Her research group uses various techniques, including automated monitoring networks, field surveys, remote sensing (airborne and satellite) techniques and laboratory experiments under controlled environmental conditions. Collection and advanced statistics of field data and testing of mechanistic views on structuring factors of primary production and consumption in shallow coastal waters is performed within several interdisciplinary projects, performed together with national and international partners. While the Wadden Sea is her primary study area, her research has included studies within the North Sea, Venice Lagoon, Banc d’Arguin, Patagonian Shelf and Oman. In addition, she is also very interested in translating scientific knowledge on coastal seas for the understanding and sustainability of our planet and is therefore involved in national and international projects with regard to applications, outreach and education of marine sciences. Alejandro Cearreta is responsible for the Master degree in Quaternary: Environmental Changes and Human Fingerprint, for the PhD Programme in Quaternary: Environmental Changes and Human Fingerprint, for the UFI (Formation and Research Unit) in Quaternary: Environmental Changes and Human Fingerprint (UFI11/09). 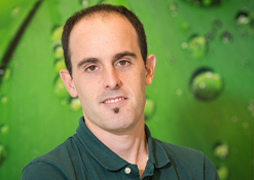 Alejandro is leader of the Harea-Coastal Geology research group (IT976-16) at the University of the Basque Country UPV/EHU and member of the Anthropocene Working Group (AWG). He is responsible of the Joaquín Gómez de Llarena Laboratory (Geo-Q Research Centre, Sociedad de Ciencias Aranzadi) and Editor of the CKQ (Estudios de Cuaternario/ Kuaternario Ikasketak/ Quaternary Studies) Journal, ISSN 2174-3703, published by the Sociedad de Ciencias Aranzadi. His research interests are: Recent geology of the coastal area: historical transformation, modern characteristics and environmental regeneration, and Quaternary environmental evolution of coastal ecosystems: multiproxy analysis of the sedimentary record. Snow hydrology: Temporal analysis of hidroclimatic variables, spatial distribution of snowpack in mountainous and forested areas, the energy balance of the snow pack and analyses of river regimes in mountain areas. Climatic change: Quantification and assessment of the effect of climate change simulated by regional Climate Models (RCMs) on the hydrological response of mountain areas. Evaluation of the effect of climate change on winter tourism. Iñigo Losada is a Coastal Engineering Professor affiliated with the School of Civil Engineering of the University of Cantabria in Spain. 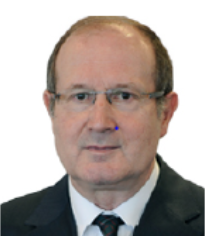 Currently he is also Director of Research of the Environmental Hydraulics Institute “IH Cantabria” where he served as founding Director from 2007-2011. 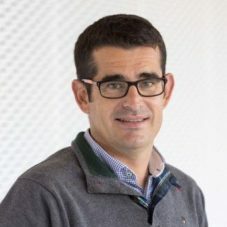 Prof. Losada holds a PhD from the University of Cantabria and a PhD from the University of Delaware where he held a Research Assistant position in the Center for Applied Coastal Research. His research interests have been mostly devoted to wave modeling with special emphasis on wave and structure interaction, met-ocean climate and over the last decade climate change and marine renewable energy, combining field data analysis and both numerical and physical modeling. He has been coordinating projects on climate change risk and adaptation for the WB, UN, IDB, IFC, UNDP in over 20 countries. 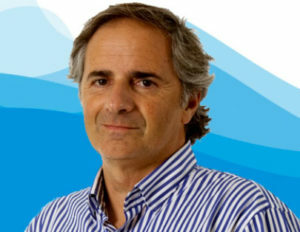 Losada has co-authored over 150 publications and edited the Coastal Structures Proceedings in 1999. From 2010-2014 he served as Coordinating Leading Author of the IPCC 5th Assessment Report on Climate Change and is currently a Lead Author in the Special Report on the Ocean and Cryosphere in a Changing Climate (SROCC). In 2012 he chaired the ASCE International Coastal Engineering Conference and became a member of the ASCE Coastal Engineering Research Council in 2014. 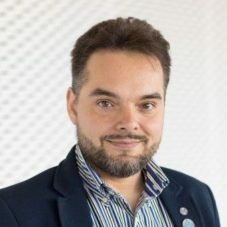 He is Editor-in-Chief of Coastal Engineering (ELSEVIER) since 2014 and a member of the PIANC WG178 on climate change adaptation for port and navigation infrastructure. Prof. Losada has been the recipient of several national and international awards. 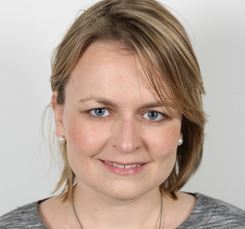 Alina is Principal Research Fellow at the Grantham Research Institute on Climate Change and the Environment, London School of Economics and leads Governance and Legislation research theme at the institute. She has over seventeen years of experience in climate policy and international development working at the international organizations, private sector, NGOs and academia. Since 2013 at the Grantham Research Institute she focuses on the analysis of the implementation of the Paris agreement, national climate governance and experiences with climate legislation. She also advises governments and international organizations, and facilitates inter-ministerial and multi-stakeholder dialogues on climate change. Prior to joining the LSE, Alina was a Global Director for Climate Change and Carbon at KPMG, and before that worked for a carbon-asset manager First Climate on policies related to carbon markets. Before that, as a Programme Officer at the United Nations Framework Convention on Climate Change, Alina supported international climate change negotiations. Her professional experience also includes work for the Environmental Defence Fund in Washington, DC; Metroeconomica Ltd and for the Bureau of Economic Analysis in Russia. Alina holds a BSc in Geography from Moscow State University, and an MSc and a PhD in Economics and International Development from the University of Bath. 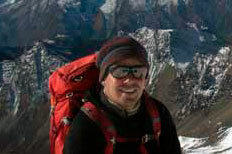 Fernando Lasheras has a degree in Electrical Engineering from the School of Engineering of San Sebastián (now TECNUN). He is currently the Director of European Polices of Iberdrola. In the first half of his professional career, he worked in the operation of a power system (Iberduero) and a Transmission System Operator (REE). In the second part, his work has dealt with regulatory and policy issues in the energy field, first at national level (Spain), and later on at European level, as the first Director of the representative office of Iberdrola in Brussels. 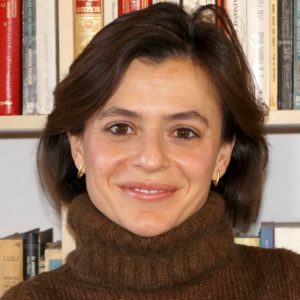 Natalia Fabra is Professor at the Economics Department of Universidad Carlos III de Madrid. Natalia is a Research Fellow at the Centre for Economic Policy Research, Associate Editor of the Journal of Industrial Economics, and editor of the RePEc’s New Economic Papers on Regulation. 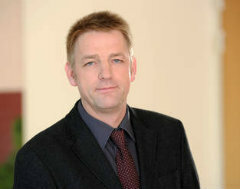 Since May 1st, 2012, Prof. Dr. Christoph Böhringer has been a member of the Commission of Experts for Research and Innovation that was established by the German government. Christoph Böhringer is professor for economic policy at the Carl von Ossietzky University in Oldenburg. After his graduation as industrial engineer from the Technical University of Karlsruhe, he received a doctorate in economics at the University of Stuttgart in 1995, where he became head of the section „Energy Economics“ at the Institute for Energy Economics and the Rational Use of Energy (IER). From 1999 to 2006, he led the department „Environmental and Resource Economics, Environmental Management” at the Centre for European Economic Research (ZEW) in Mannheim. In 2002, he habilitated in economics at the University of Regensburg and in 2004 he became professor of economics at the University of Heidelberg. In early 2007, he moved from Mannheim respectively Heidelberg to Oldenburg, where he now holds the chair of „Economic Policy“. His research activities focus on the economic impact assessment of regulation, especially in the fieldof environmental, energy and climate policy. His scientific findings have been published in many internationally renowned journals. 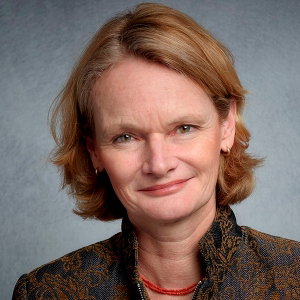 Prof. Böhringer is research professor at the Centre for European Economic Research (ZEW) and member of the German National Committee on Global Change Research (NKGCF) set up by the German Research Association (DFG) and the Federal Ministry of Education and Research (BMBF). Sérgio Henrique Faria (Dr.rer.nat. Darmstadt University of Technology, Germany, 2003) is Ikerbasque Research Professor at BC3, the Basque Centre for Climate Change, and Adjoint Presidential Professor at the Nagaoka University of Technology (NUT), Japan. 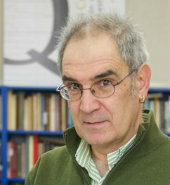 He is Head of the BC3 Research Line “Climate Basis”, Director of the “IzotzaLab” (BC3’s low-temperature research facility), and leader of the Team “Climate Change, Environment and Human Well-Being” within the Doctorate Programme “Quaternary: Environmental Change and Human Ecological Footprint” of the University of the Basque Country (EHU). He is also European Coordinator of the “GIGAKU Education Programme for Innovative Global Engineers” (TGU-GIGAKU) led by NUT, which is part of the “Top Global University Project” of MEXT, the Ministry of Education, Culture, Sports, Science and Technology of Japan. His research interests are very diverse, ranging from Earth and planetary sciences to social dynamics and the multiscale modelling of complex systems. He did several stays in Antarctica and Greenland, in particular as ice core scientist during two EPICA-DML deep-drilling expeditions (2003/04 and 2005/06) to Kohnen Station (75º00’S, 00º04’E), Dronning Maud Land, Antarctica. 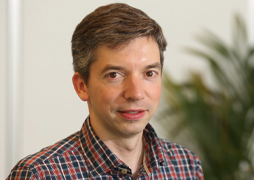 Sérgio Henrique is Associate Editor-in-Chief of Jorunal of Glaciology (International Glaciological Society and Cambridge University Press) and Editorial Board Member of Scientific Reports (Nature Research). He is author of the book “The EPICA-DML Deep Ice Core – A Visual Record” (Springer). He is also Lead Author of “Chapter 1: Framing, Context, Methods” of the 6th Assessment Report, Working Group 1 (AR6-WG1) of the Intergovernmental Panel on Climate Change (IPCC). She has participated in several competitive projects at regional and national level and in two competitive projects at European level: ELME (“European Lifestyles and the Marine Environment” 2004-2007); MARNET (“Marine Atlantic Regions Network” (2012-2015). Besides, she has been member of different Organizing and Scientific Committees of International Conferences organized by EAERE (European Association of Environmental and Resource Economists) and AERNA (Spanish-Portuguese Association of Resource and Environmental Economics). She has been involved in the organization of previous editions of this Summer School and has participated in the development of the two Role-Play Games used during the Summer School: “The International Climate Negotiation Game” and “ADAPTECC: A Role-Play Game about Adaptation to Climate Change”. 09:15-10:15: Assessing the protection services of coastal ecosystems: Implications for adaptation and decision making. 10:15-11:15: Water security and climate change. 12:00-13:00: National governance on climate change. 9:15-10:15: Energy for a low-carbon society. 10:15-11:15: The design of support schemes for renewables. 12:00-13:00: Renewable Energy Promotion in Germany — A Critical Appraisal. Assessing the protection services of coastal ecosystems: Implications for adaptation and decision making. National governance on climate change. Energy for a low-carbon society. The design of support schemes for renewables. Renewable Energy Promotion in Germany — A Critical Appraisal.